Geez are there really five comic book movies on here? I lied. It's six if you count “The LEGO Batman Movie.” Ok yeah it's getting ridiculous, but you know what? They're really good movies! But don't fear, if that ain't your back there are 20 other films that really stood out in a year filled with great movies. It was too hard to narrow my list to just ten films so I made a list of 20. In any other year these films could have easily been in my Top Ten. And what a great range of films, yeah there's your genre fare (three horror films made the top ten this year making up for last year's surprise drought) but there were some really great dramas and even some fun guilty pleasures. Overall, I can't really complain about 2017. In a year filled with outstanding comic book films there were still plenty of non-genre fair worth seeking out. Everyone should see “The Big Sick.” So they say comedy is harder than drama. But what about both? “The Big Sick” is the ultimate comedy-drama. It's hilarious in all the right places and hits all the right emotional buttons. And it's intensely relateable and the characters are so likable. 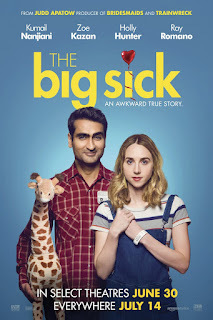 The film tells the true story of Pakistan-born comedian Kumail and his relationship with a Caucasian girl named Emily. They fall in love and then she gets sick and gets put into a coma. And then Kumail falls in love all over again, with Emily's parents. Directed by Wet Hot American Summer alum Michael Showalter, the film is a truly rewarding experience that is genuine and funny, with extremely well-drawn characters. It's easily one of the most rewarding movie-going experiences of the year. And well worth every movie fan's time. In fact, it's the best of the year. 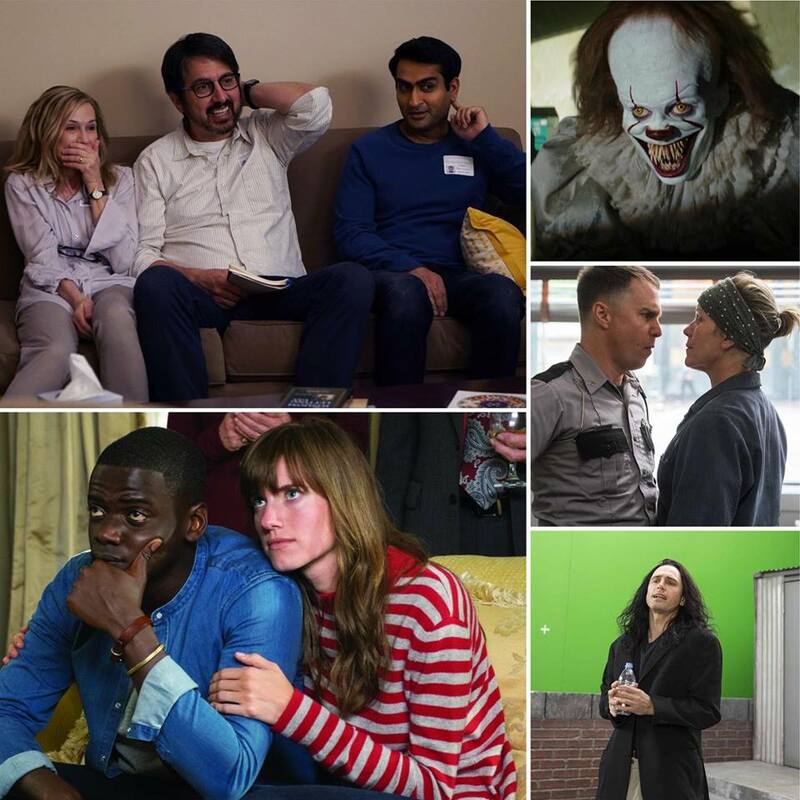 Coming in a close second place is the year's most original, wacky, and downright enjoyable films. And it's a horror film of all things. Of course, it's also blisteringly funny. Functioning like “Rosemary's Baby” and “The Stepford Wives” meets “Guess Who's Coming to Dinner,” the very timely “Get Out” takes a scathing look at modern race relations. A simple visit to his white girlfriend's parent's suburban home turns into a nightmare for an African American man when he discovers some sinister things going on. Though it's not quite what you expect. 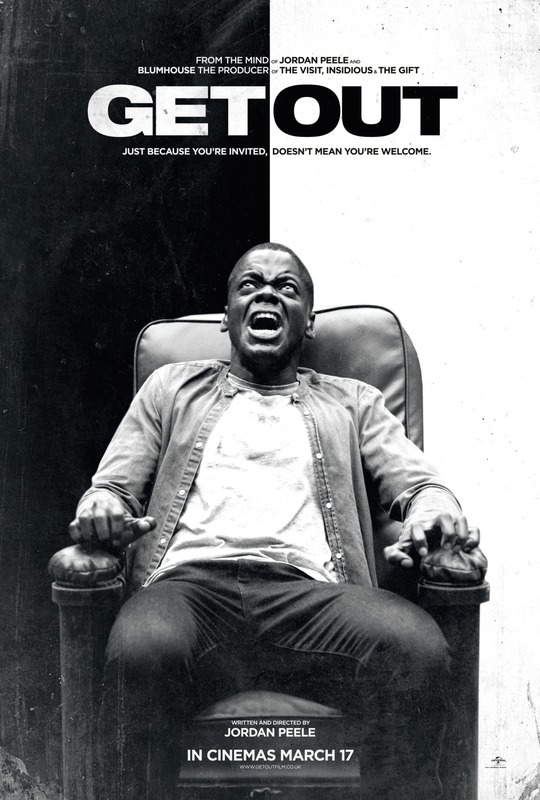 A blistering directorial debut for funnyman Jordan Peele, “Get Out” is fresh, funny, and scary and is easily one of the best films in the horror genre in quite some time. It's destined to be not only a horror classic but a classic film in general. Speaking of horror classics. 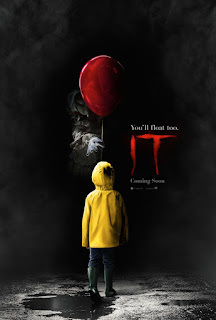 Stephen King's novel “It” is a staple in the literary world and the notoriously lengthy novel finally gets the big screen treatment and it's simply glorious. A fun mix of horror and childhood wonder abound in this nostalgia-dripping story of a group of young pre-adolescent boys dealing with their fear of a shared evil entity that keeps terrorizing the kids of their small New England town. As many know, it mostly takes the form of creepy Pennywise the Dancing Clown and he's played with perfect perverted verve by Bill Skarsgård. The film is as funny as it is scary and all the kid actors are perfectly charming. Easily one of the all-time best King big screen adaptions. The year's weirdest title is easily one of the best films of the year. A fantastic ensemble cast is featured in this fascinating story of a mother out for justice. Frances McDormand is in top form as a mother who is sick and tired of the local cops not being able to solve her daughter's murder. 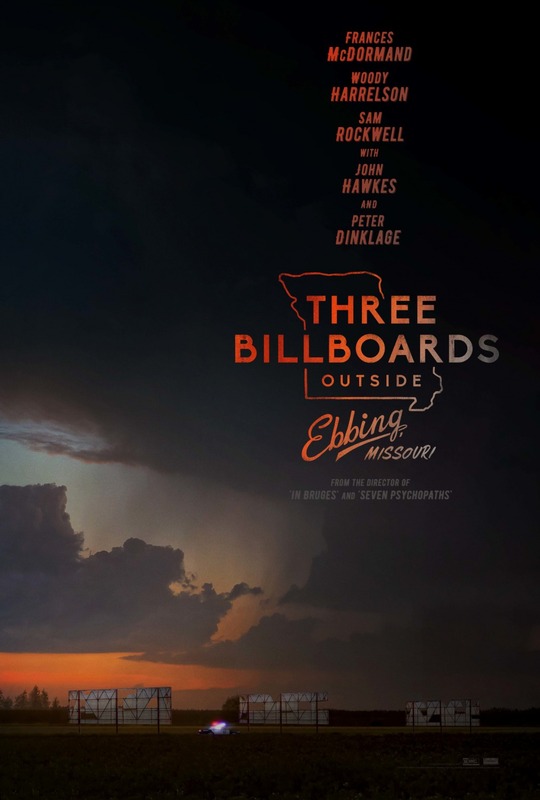 She rents three billboards that are directed at the sheriff of the small Midwestern town which sparks a series of events that are compelling to watch. This original piece of work from writer/director Martin “In Bruge” McDonagh is a politically charged drama for our times but it's also blisteringly funny. This is powerful, entertaining filmmaking of the highest order. How could such a fascinatingly crappy movie be the basis for one of the best films of 2017? 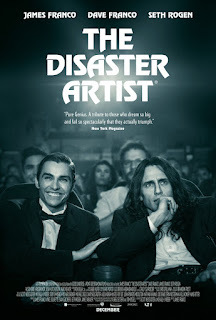 At the hands of (500) Days of Summer writers Scott Neustadter and Michael H. Weber and director James Franco “The Disaster Artist” is a compelling look at one of Hollywood's most bizarre characters. 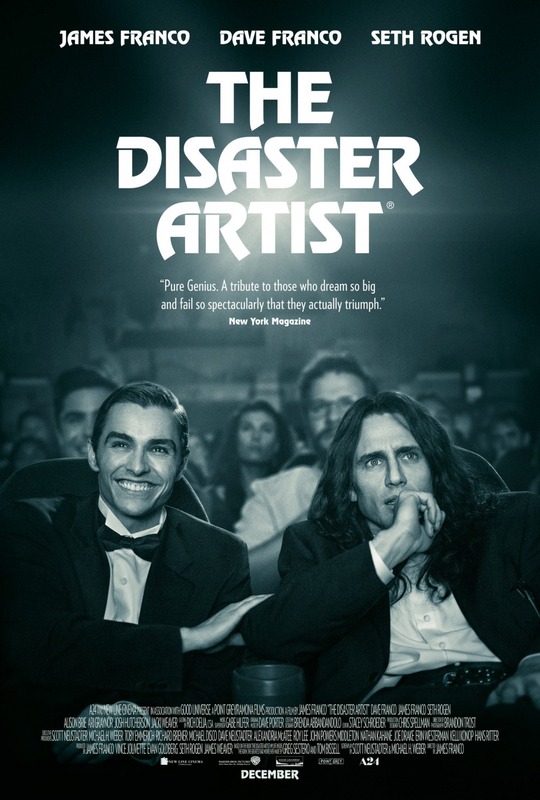 Tommy Wiseau is a man of mystery who just wanted to make it in Hollywood and he did it by making one of the most notoriously bad films in all of cinema, “The Room.” This fascinating docudrama follows Wiseau (James Franco at his best) as he and his best friend Greg set off to conquer Hollywood by making their own film. What follows is an intriguing tale of friendship and the American dream with a bizarre cast of characters hell bend on turning the worst move ever made into one of the most fascinating films of the year. 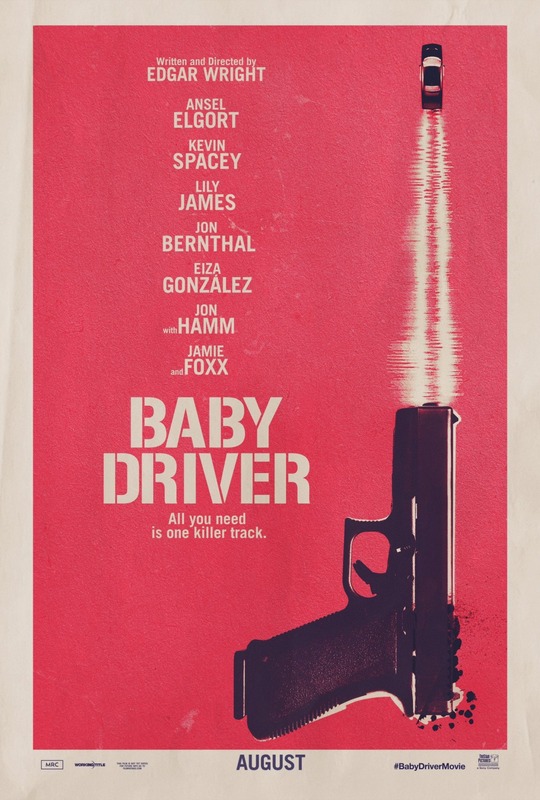 Edger Wright has crafted arguably one of his most successful films with “Baby Driver,” a high octane action extravaganza of epic proportions. 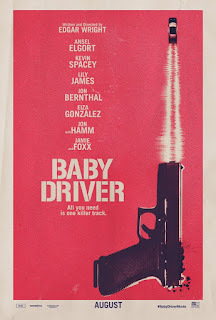 The film basically functions as a crime thriller musical complete with a rocking soundtrack, mind-blowing action sequences involving awesome car chases and a compelling central story about a nice, hip young guy who gets caught up with the bad guys. The film is a feast for the eyes and ears and is a complete delight from beginning to end. Ansel Elgort is as charming as ever and the film is unlike anything you've ever really seen before. A totally wacky docudrama with an exquisite sense of humor “I Tonya” takes a mockumentary approach to the infamous Olympic skater Tonya Harding. Played with perfection by Aussie standout Margot Robbie, the film features bizarre characters that you can't believe are actually based on real people. Fantastic character actress Allison Janney plays Tonya's sadistic stage mom who constantly has either a cigarette or drink in her hand or a pet bird on her shoulder. A creatively directed black comedy from Craig Gillespie who thrives in the worlds of bizarre characters (see his 2007 breakout “Lars and the Real Girl”), the film's witty script tells a familiar story in an unfamiliar way and makes us remember why these zany true crime stories are so freaking fascinating. It's been awhile since Pixar has made a film worth mentioning for end of the year status. Not since “Inside Out” have crafted such a fun and original piece of work. 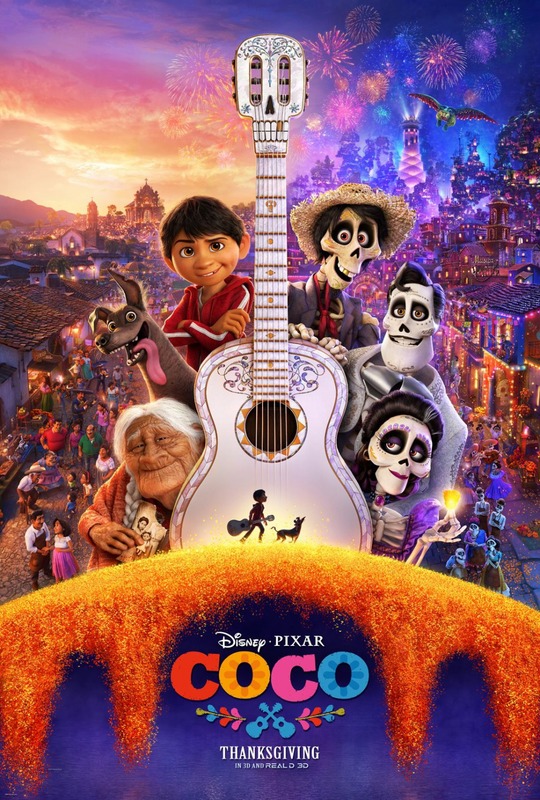 “Coco” follows a Mexican boy as his family is celebrating Dia de los Muertos. The fantastical story gets going when the young aspiring musician accidentally gets stuck in the Land of the Dead and must get help from his dead relatives in order to get back to the real world. The film is simply stunning to watch and so creatively imagined. 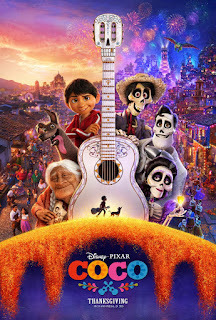 The music is fantastic and like all the great Pixar films is as heart-tugging as it is humorous. This truly heart-warming tale is one of their best efforts and can easily be enjoyed by people young or old. 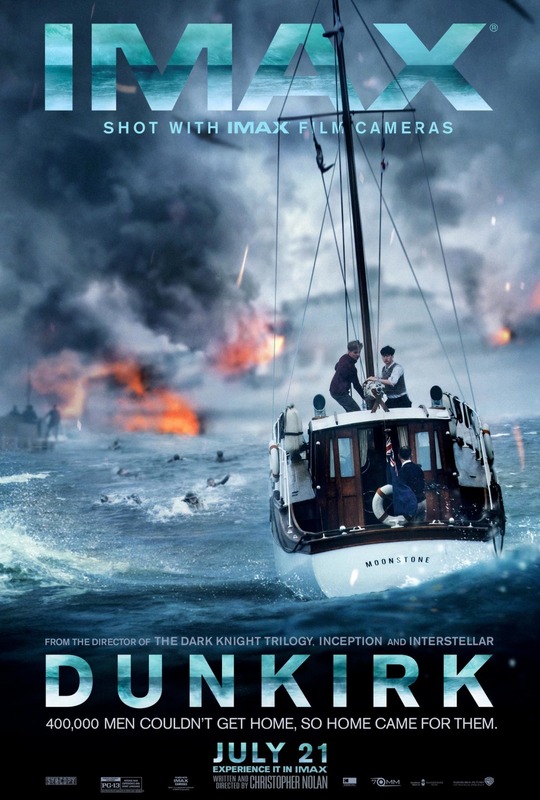 Director Christopher Nolan, ever a fan of playing with time, has crafted a World War II masterpiece with “Dunkirk.” Told from three different points of view, “the land,” “the sea,” and “the air” the film follows various soldiers and civilians as they fend off the enemy on or near the beaches of Dunkirk, France as the enemy closes in on them. Told in a fragmented narrative structure with little dialogue and hardly any exposition, this big budget experimental film is simply stunning to watch. Featuring stunning cinematography captured with IMAX cameras made this an unforgettable theatrical experience. 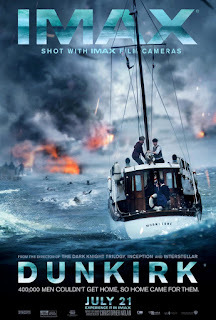 Hans Zimmer's suspenseful, bombastic score is the heart beat for this quickly paced thriller that is a cerebral but rewarding cinematic experience unlike any other war film you're likely to see anytime soon. Need proof that charm and creativity can go a long way in a worn-out genre? 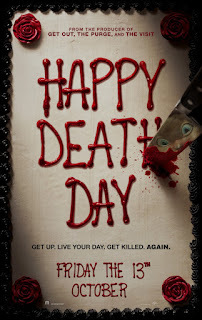 Look no further than “Happy Death Day.” This somewhat silly slasher film takes a cue from “Groundhog Day” and finds its final girl (a star-making turn from Jessica Rothe) getting murdered at the end of her birthday and constantly waking up to experience it all again until she can solve her own murder. 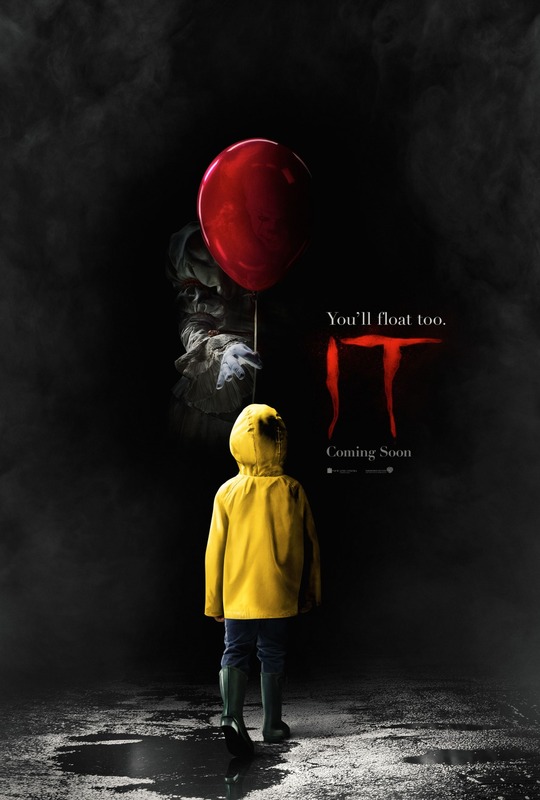 It’s certainly not the scariest film in the genre but you really get the sense that everyone is putting their best efforts forward and the writing is light, crisp, and witty. This genre-bending delight is campy and fun in equal measures. 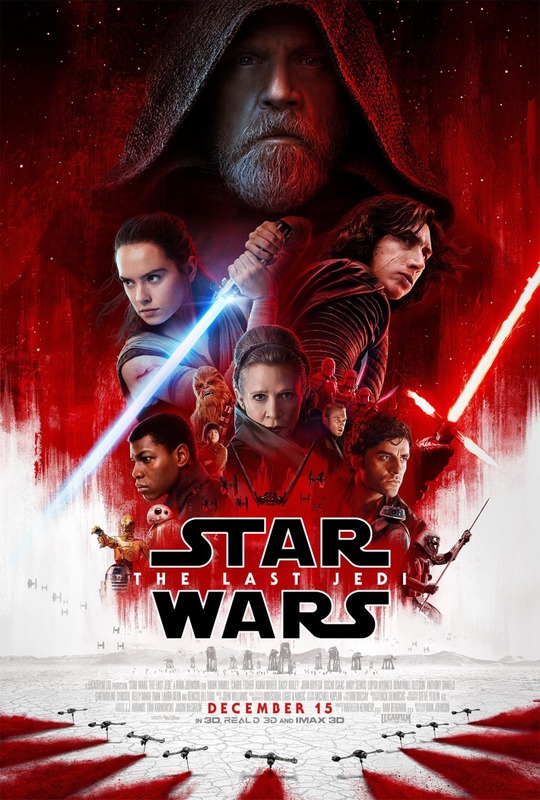 What should have been the most liked movie of the year had some fanboys crying afoul for some unbeknownst reason as part 8 in this new Star Wars saga is simply outstanding from beginning to end. Directed with vitality from franchise newcomer Rian Johnston “The Last Jedi” continues the story of Rey a defiant young woman ready to train as a Jedi with Luke and all the other lovable characters first introduced to us two years ago. Finn and Poe are back as is General Leia (and the last screen performance of the late-great Carrie Fisher). The film totally plays against your expectations in the best way possible which makes for a compelling and entertaining film that completely satisfies and whets your appetite for the final chapter in this thrilling new trilogy. 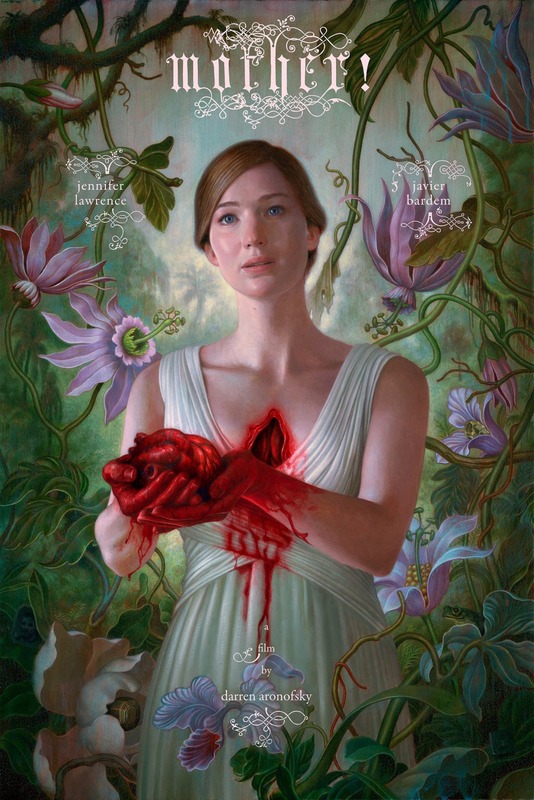 Surprisingly, the most divisive film of the year isn't “The Last Jedi.” The second film this year influenced by “Rosemary's Baby,” how exactly does one explain “mother!”? Seeing this film in the theater was one of those movie-going experiences you just won't forget. Me thinking “what the hell is going on?” factored into it a lot. And yet I was possessed by what I was seeing. Once you actually start reading about what the hell writer/director Darren Aronofsky was trying to say, things begin to make some sense. A truly gonzo and off-the-wall take on bible stories and humanity's mistreatment of environment, the film is a flashy parable for the entire human experience. The film begins normally enough but then takes so many left turns you simply won't believe your eyes. It's certainly a love it or hate it experience but you can't deny the creativity that went into producing one of the most arcane studio films to get a wide release in quite some time. A truly mind-boggling but extraordinary experience you have to see at least once. How have there been three different Spider-Man series with a fifteen year span? I've been a fan of all of them to be honest though I was weary about entering the angsty teenage world of Peter Parker yet again. 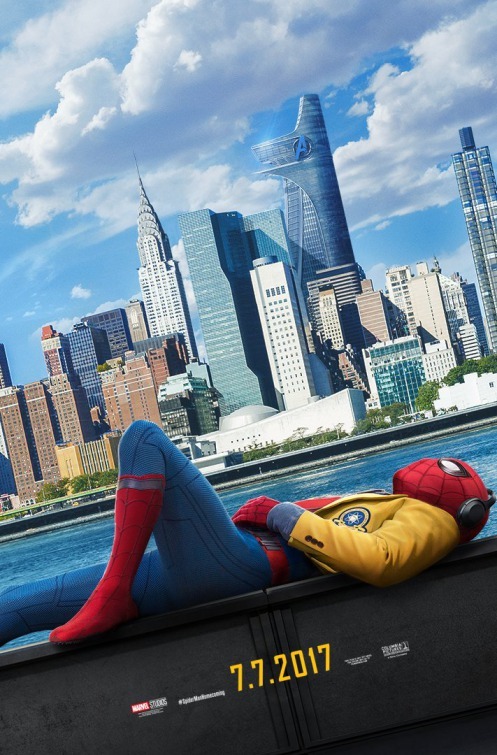 Luckily in the hands of Marvel Studios there is truly nothing to complain about with “Spider-Man: Homecoming.” Tom Holland makes a perfect Peter Parker/Spider-Man and is a welcome addition to the Marvel Cinematic Universe. This wonderfully entertaining film is a prime example of how you can take something so familiar and turn it into something fun and fresh. There was no better time than 2017 to finally unleash a “Wonder Woman” movie on the comic book loving world. 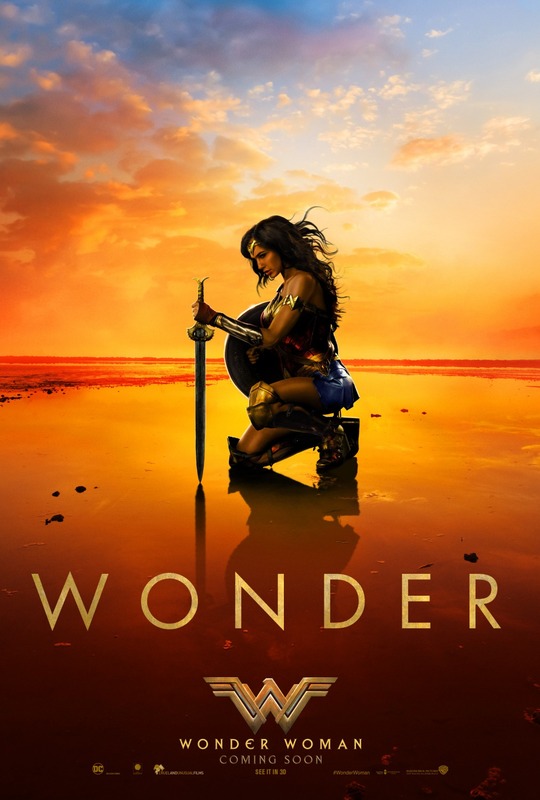 A true bright spot in Warner Brothers' eternal dismal cinematic universe thanks to director Patty Jenkins, this is a truly rewarding adventure that feels like a fresh take on a well-worn genre. Gal Gadot has become instantly famous for her heroic portrayal of Diana Prince the Amazonian warrior who becomes a hero during Word War I. The film is a fun war epic not dissimilar from the first “Captain America” film and features so really fun action set pieces that are every bit at entertaining as their Marvel counterparts. 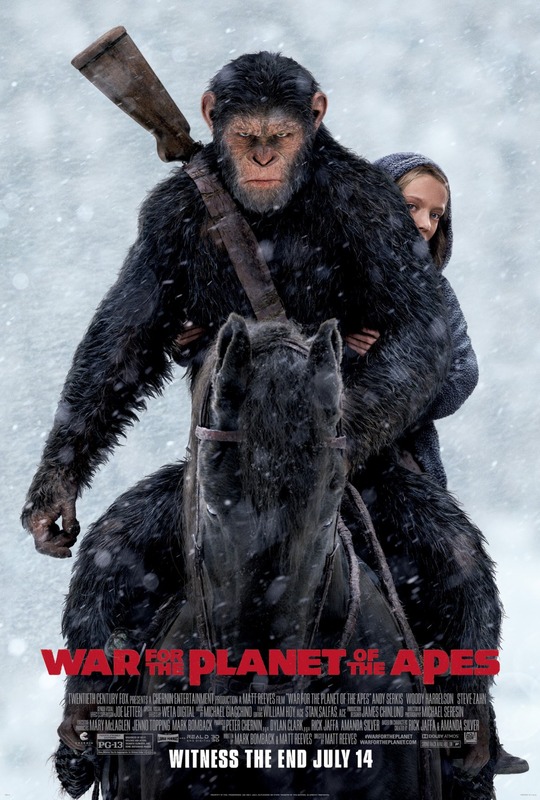 A brilliant conclusion to the story of Cesar, “War for the Planet of the Apes” takes a brilliant dive into the prisoner of war genre with outstanding results. The stakes have never been higher and each film has progressed this terrific story in ways that have been truly unexpected. The jaw dropping visual effects are a wonder behold and are truly deserving of that elusive Oscar this series has yet to conquer. 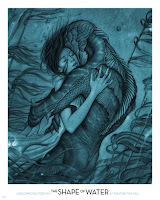 Guillermo del Toro is a master of monsters and fairy tales and he combines the two wonderfully in this beautiful take of a mute woman (Sally Hawkins) who falls in love with a male sea creature. Set in the 50s the film has a lot to say about unconventional romance and what it means to be human. Featuring a talented ensemble cast of award winning actors “The Shape of Water” is a really sweet movie that isn't afraid to show the dark side of humanity. A true fairy tale for adults. Yet another fun comic book film, but who would of thought that third time's the charm with the “Thor” films? This nostalgic dripping color-coated adventure is brimming with smart humor and wild action. The filmmakers finally figured out that going full camp is a great way to make a successful Thor film. The movie has a great synth-heavy score and a gloriously bad turn by the brilliant and game Cate Blanchett. A really fun experience for those who want something a little different with their superhero films. 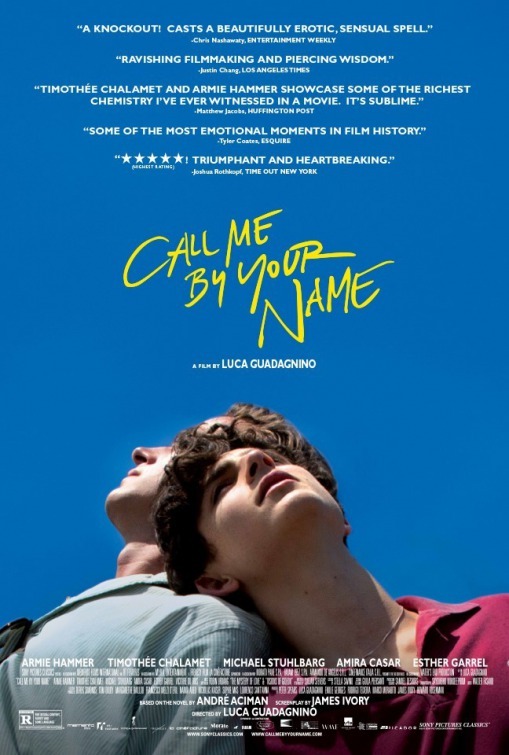 A really sweet love story set in the rolling country hills of Northern Italy, “Call Me by Your Name” feels old-fashioned but is completely forward thinking. 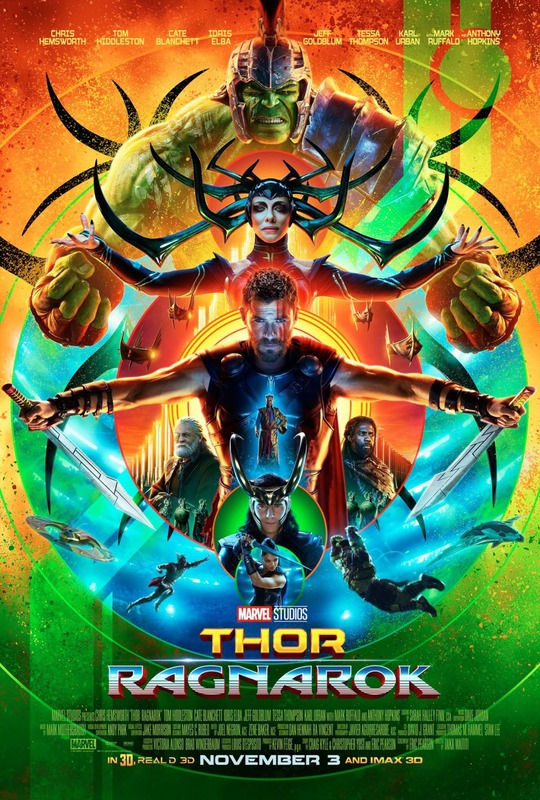 If you thought Thor Ragnarok was dripping with 80s nostalgia wait until you see this. 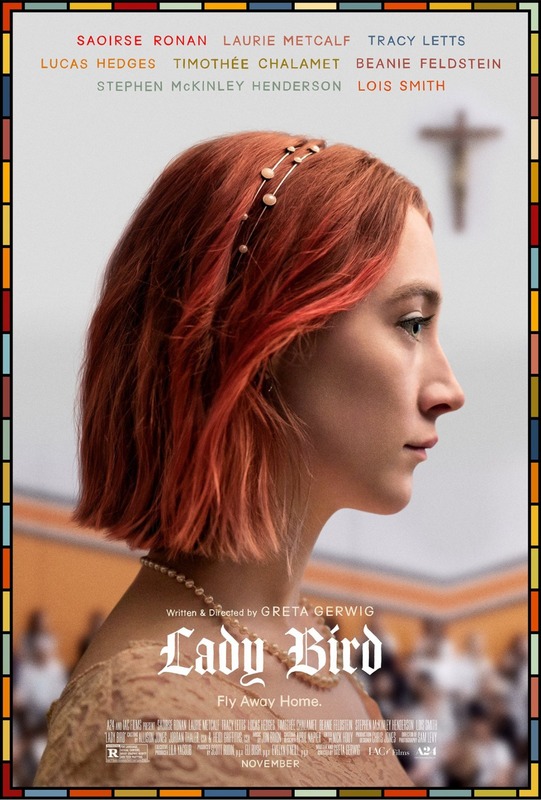 Featuring an eclectic soundtrack of classical pieces and 80s pop tunes (including a couple of catchy new tunes from Sufjan Stevens) the film is brilliant shot and acted. The film features a star-making turn for the young Timothée Chalamet who plays a confused introverted teen who falls for his father's hunky grad school assistant played with surprising verve by Armie Hammer. The drama isn't a tragedy as so many gay stories are but it's heartbreaking nonetheless. The film is almost too quiet and serene for its own good but the actors are charming and make it work. The film is almost worth seeing just for a brilliant and moving monologue by Michael Stuhlbarg who almost quietly steals the movie away from his young co-star. 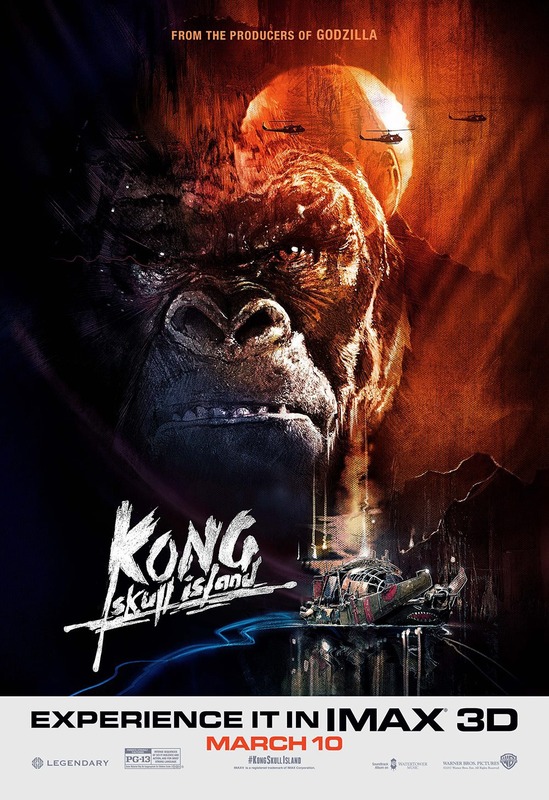 This new take on cinematic monster legend King Kong is a really fun, trippy 70s fetish-fest from start to finish. What is essentially a visually stunning Vietnam War film, the story follows soldiers as they make their way to the forbidden, ancient Skull Island sort of unaware of the terrors that will befall them. We're talking big bugs, spiders taller than trees, not to mention the king of the jungle Kong. The film doesn't quite hit the emotional buttons of Peter Jackson's superior 2005 take, but as a fun adventure “Kong Skull Island” hits all the right buttons and has some really great visual effects and a delicious look and feel.